An Entertainment Weekly "must"-"It's hard to recall another collection of essays, or a memoir, with more natural charm." Surrounded by dysfunctional men-from her fourteen-year-old son to her high-maintenance boss-Diana Joseph did what she had to do: survive. 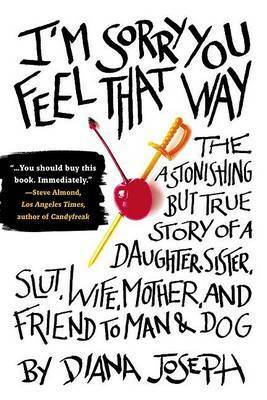 I'm Sorry You Feel That Way is an honest, hilarious, and instantly recognizable memoir of a truly modern woman. Funny, fearless, and warmhearted, it is a portrait of a woman in all her endless complexities and contradictions, and of the people she has come to love in spite of-or rather because of-theirs. Diana Joseph has worked as a waitress, a short-order cook, a typist, and a teacher. Her essay "The Boy" won the Kentucky Women Writers Prize for Creative Nonfiction. Joseph currently teaches in the MFA program at Minnesota State University, Mankato.